When you think of Oktoberfest you think of the biggest beer drinking festival in the world, right? I admit it when I heard about it all I could picture was people staggering around, yelling drinking themselves into oblivion. What would our Oktoberfest experience be like? We only waited a couple of minutes before Mark got himself a stein, once seated and I got one with massive intentions that I quickly realised were probably not going to be even half met! I loved the atmosphere and looked around at all the other people having a great time too. I actually think I did much more people watching than I did drinking! My Aussie colours came out loud and proud when the band started playing ‘Down Under’ just before we left. In the time of 1500 through the1600s traditional Bavarian outfits were a common sight in everyday life in Munich, People would wear them in all parts of life. You would see them in the cities and in the fields. Don’t be surprised to see people wearing the traditional dress when going out at any time of the year. I think this is great to keep the traditions alive. What to wear to Oktoberfest Women: The base of any woman’s outfit at Oktoberfest in Munich is a white blouse. This sets up the outfit. The blouse is worn under a tight-fitting Bavarian dirndl (DEERN-dul) dress. Traditionally adorned with an apron tied around it. A dirndl dress can come either all in one piece or in two pieces with a separate bodice and skirt. The dirndls are made to fit snugly around your sides. What to wear to Oktoberfest Men: Men’s Oktoberfest outfits tend to be more traditional. 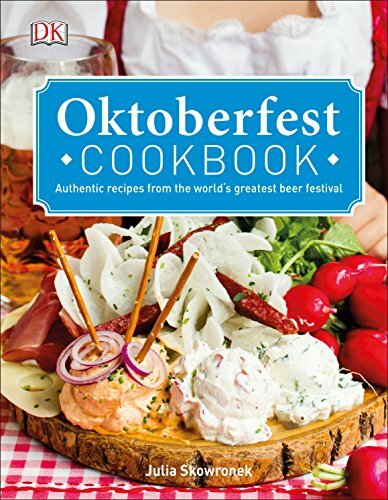 You will the men at Oktoberfest wearing a button-up shirt (either white or checkered), leather Lederhosen shorts with suspenders, an Alpine hat, classic socks, and comfortable Bavarian shoes. Apparently, a table of Aussie’s had been harassing them to play it for a while! We left shortly after that because we were leaving early the next morning for a day trip. I remember I was surprised at how well everyone behaved within the tent while we were there. We decide to return in a couple of days to have a look around at the rides side of things. They all looked so amazing, we wanted to stay but had got the phone call that Willow had become unsettled! 2006 – Daytime, with an 11-month-old in a stroller! We returned in the late afternoon a couple of days later to have a look around. The Oktoberfest clothing is amazing, the traditional Oktoberfest clothing that is. We thought it would be good for Willow to have a look too with all the flashing lights and sounds, have her own Oktoberfest experience she may even be able to go on a ride! Getting the stroller around was not as hard as I thought it would be and because we had bought a huge helium balloon for her, we were easily spotted if we got separated. Most people happily got out of the way when they saw us coming and I was surprised at how many families were actually there. Which we didn’t mind. Reserving a table at Oktoberfest is the only safe way to get a seat Thankful, we folded up the pram and walked down to the end of the tent. We ate our meal and then asked if we could exit by the back of the tent which we were allowed to. We thanked the people for letting us sit and eat. Then it was off to get on some rides! Mark and our friend’s partner were the daredevils and lined up for some of the craziest looking rides I have ever seen. Willow loved watching them whizz around. She was still just too little to even get on the tiny rides but I think she still had a great time! 2013 – Daytime…with two children and a birthday! Well, 2013 was really different. Willow loves telling people she went to Oktoberfest for her Birthday. The girls tried heaps of rides and they spent the whole time amazed at all the different things there. They both loved the chocolate covered fruit, the massive wurst in the tiny bread roll and the games to play. they both got a teddy from one of the stalls and ended up drenched from one of the rides we went on! It was just such a great day! Going during the day, we also got to see the horses that used to pull the barrels of beer. The girls loved posing for the photos with these horses until one whacked willow on the head and then there was quick exit made! We did have lunch in one of the outside areas of one of the tents. both the girls loved the giant bretzen and there was another Stein for Mark. All in all, Oktoberfest is really a great day out for the family and I think it will become more family friendly as the years go on. right now I think it is very family friendly and kids are catered for in a great way! It also needs to be said that while we were there we didn’t see massively drunken people. yes, they were obviously intoxicated but there was no one absolutely legless and causing trouble. After all these years they probably have security down to a tee but it was still nice to see. The people you did see going crazy spoke English very well and you could nearly guarantee they were visiting from elsewhere. You will find many German foods at Oktoberfest waiting for you try. We love the German food, it is very much a meat-based cuisine. Maybe not so great if you are a vegetarian. Here are some of the food you will find on the Oktoberfest menu. We stayed at Meininger Munich City Centre on our stay in Munich. Check it out here! in Australia at the moment we have so many problems with people drinking too much and becoming violent, the coward punch is an ever-increasing, serious problem and violence against women as well. Now I am not saying there was any violence or people drinking themselves into a complete state I am just saying we did not see that while we were there. Our country could learn from the Oktoberfest experience. It really poses the question… what can we do to make our nights out safe and our drinking culture to realise when enough is enough?. The Oktoberfest experience is amazing whether you be single, married or as a family travel destination. Please find 2 more article about Munich Germany below. We have been to Munich on 5 occasions and love the city. Click the image to be taken to the articles. I think we may go to Oktoberfest this year we went to the one in Stuttgart which is a lot more toned down… and closer to home. Hi Rob. Sorry I think you misunderstood my comment with the tent being dangerous…I meant it was dangerous walking around it with a baby in a pram with everything that goes on in there! Thanks so much for taking the time to comment we appreciate it! Beer, pretzels and liederhosen. Sign me up! There is a great Oktoberfest in Waterloo, Ontario near me as well. Maybe I’ll check it out this year. I think Mark knows we love a beer! We’re huge Oktoberfest fans, having visited many times in our days B.C. Last year we took a reminiscent trip back (without the kids) and a lot that we loved was still there – nothing like dancing on the table and “prosting” with a table full of your new best friends!! We did observe that it’s simply too busy now. Week days early on are ok, but Saturday was just out of the questions, queues everywhere and the crowd more unruly. The only ones getting in still were the Bavarians who wisely book tables in the tents up to a year in advance; these families had children with them and it’s still a very traditional family event for them, not a piss up. The other thing we noticed on the weekdays though were how many family rides and attractions there are (people are always surprised it’s more than beer tents – I guess you don’t see these things unless you look). I’d happily take my kids back there on a week day – in fact Tuesday’s we’re told there’s big family discounts and freebies offered. Completely agree with kids or without it’s something everyone should experience. I would never have thought of Oktoberfest as a family friendly event! I can just imagine the conversation.. But reading this indeed reminds me of how we view the same things differently when we are with and without kids. I also enjoyed our experience with the kids. I haven’t gone without them, but my mom was there so we got to experience both. People who haven’t gone thinks its all beer, all the time, when its beer eh 70% of the time. I loved watching the passed out people under the hill being watched over by friends and I esp. love how the politzei were there but no one seemed to be too crazy. Although a German guy got on our bus and ended up at the gate of the base (three hours away) in the wee hours of the morning. I have no idea where he was going or how he was going to get there. I miss traveling with my kids and I don’t LOL. Thanks for commenting Stacey. I want to know what happened to the german guy? Wow! That’s interesting! I would have never thought that Oktoberfest could have been a family destination! I’m still at the life stage to think Oktoberfest=beers! Really funny to see your different experiences over time… in less than 10 years!! That’s great to have that capture in one post. Thank you for sharing! Thanks for posting this. I am shocked that Octoberfest is a family event. You only ever hear about people going there to get drunk so it is great to hear that there is another side to Octoberfest. I hope to experience this one day! Interesting insights into your different experiences. Nice to see that it can be enjoyed with a family! Thanks for sharing! Like others have said I never really thought about Oktoberfest being kid friendly. Interesting to think about how it would be though during the day and night, and the two completely different experiences! Great post. Ha! Thanks for providing a different perspective to Oktoberfest. Locals in Munich told me to go anywhere but Munich for the festival but I like what I’m seeing here! I had my own experience for my birthday in a tent in Linz Austria and absolutely loved it 🙂 Prost! I’m actually going to Oktoberfest in Munich this year and we can’t wait to experience it for the first time. Lovely blog! And such a precious family. We went to Oktoberfest 2 years ago and had a great time. I didn’t realize there was so many family friendly acitivites there, I thought it was all about the beer!